Deciduous tree. Slow growing but vigorous for a Japanese maple. Sun tolerant. Upright, gracefully broad form with palmate leaves. 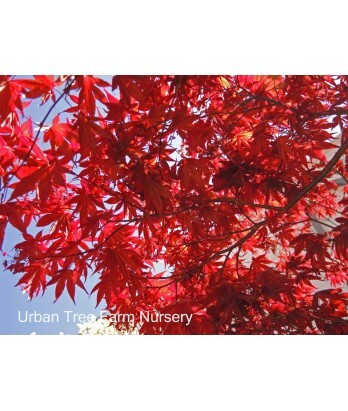 Brilliant red new growth ages to plum in summer. Turns bright red again in fall. Moderate to regular water needs in well-drained soil once established.